Is your BMW R1200GS giving you problems? Are you looking for a cheaper alternative to garage/shop repair? 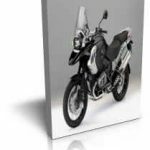 This BMW R1200GS repair manual covers all aspects of repair, service and troubleshooting. These manuals are the same manuals BMW dealers use to repair your motorcycle. Download this repair manual and get 1000’s of pages of detailed know how, including detailed images that will hold your hand through your repair. This manual covers all know aspects of repair including but not only – Fault Diagnosis, Maintenance, Engine, Clutch,Gearbox, Fuel System, Ignition System, Frame, Forks, Final Drive, Rear Suspension, Wheels Brakes, Tires, Electrics and Wiring Diagrams.